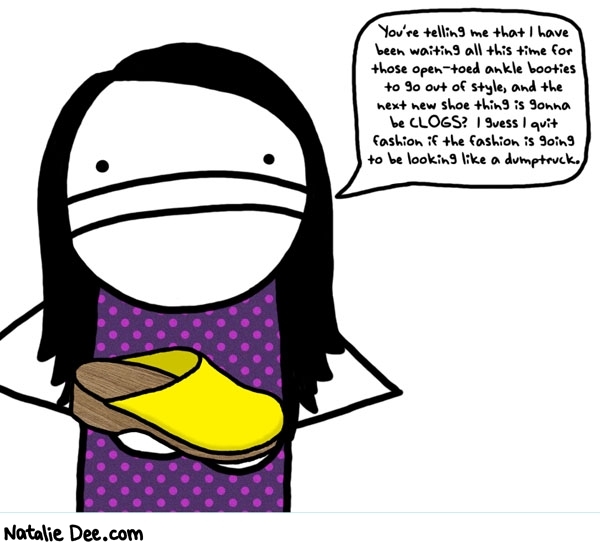 Seriously though, why the heck are clogs back in fashion? They never were so, please just go away! Pfft! This entry was posted in Fashion and tagged ankle boots, clogs, open-toe on June 1, 2010 by fauxionista.